The world is full of reboots and do overs. In fact, it's probably the one thing we report on the most. The studios continue to go back to the well to revisit old properties that may have another life with new audiences that never fully experienced their origins and they cash in on a sense of nostalgia for the folks that were around at the beginning. Now it appears that another franchise from the '80s is getting another lease on life. 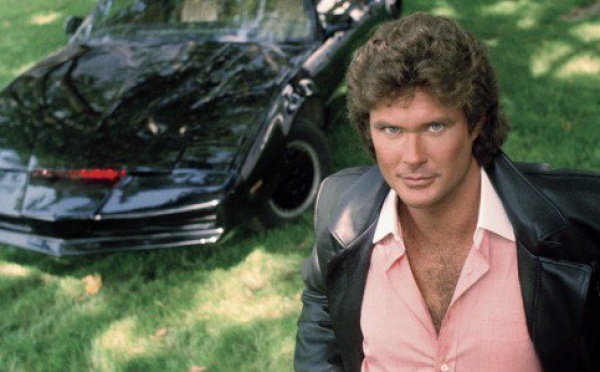 David Hasselhoff claims that Knight Rider is getting another reboot. While the series has already seen multiple incarnations on television, the property may finally move over to the big screen as the star has discussed the relaunch with Guardians of the Galaxy director James Gunn. Nothing is set in stone yet, but numerous websites are reporting the same story tonight claiming that this is something they're serious about getting into production. Over the years, a film version has been discussed many times. At one point, it was even rumored that Chris Pratt might take over as Michael Knight. Hasselhoff also says he's not interested in seeing this done as a satire like 21 Jump Street or Baywatch. They're aiming for a more serious action vibe that would play it much closer to the original show.